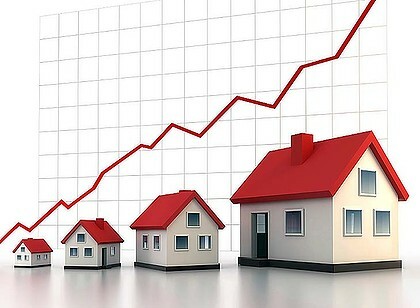 Sydney house prices recorded a staggering 7.58% growth in the July quarter, pushing the median home values to $1,017, 500. SMSFs are private funds that – as the name suggests, funds that you can manage yourself. Of course, this type of funds are regulated and should follow rules set by the Australian Taxation Office. But, what exactly is a Self Managed Super Fund? Self – Managed Super Funds have increased by 29% in 5 years, making it the most popular and fastest growing super fund, nearly hitting the $560 billion mark. Respondents to the latest Westpac – Melbourne Institute survey showed a bleak consumer outlook for 2015. The Australia dollar dropped below US83¢ for the first time in 4 ½ years, dipping by as much as US82.90¢ as the US economy mounts pressure on the local currency. Australians spend around $85 billion in supermarket groceries annually, with meat, fruits and vegetables accounting for $28 billion. Surprisingly, tobacco and junk food are quickly catching up, with $17 billion in combined sales. Are Rate Cuts Still Possible? Chief Officer for Investments of Saxo Bank Steen Jakobsen has been long forecasting further rate cuts as majority of economists predict a rate hike for next year. With falling commodity prices and rising unemployment, how low can we really go? By Dorian Traill|2015-11-11T15:54:21+10:00November 17th, 2014|Finance, Interest Rates|Comments Off on Are Rate Cuts Still Possible? Are Banks Prepared for a Mortgage Crash? The Australian Prudential Regulation Authority recently conducted a mortgage stress test on 13 Australian banks to determine the industry’s preparedness in case of a crash – and banks are not as prepared as they think. By Dorian Traill|2015-11-11T19:37:19+10:00November 10th, 2014|Finance, Mortgage|Comments Off on Are Banks Prepared for a Mortgage Crash? AU Dollar Falling: Are We Supposed to Worry? The Australian Dollar has been on a downward spiral as it finished below US 90¢ from a high of $1.10 back in 2011. Is the Australian economy weakening, or is there a valid reason for the currency drop? By Dorian Traill|2015-11-13T18:55:34+10:00October 14th, 2014|Economic Growth, Finance, Interest Rates|Comments Off on AU Dollar Falling: Are We Supposed to Worry? As expected, the Reserve Bank of Australia has kept the cash rate at 2.5% for the 14th straight month, the longest in more than a decade.